Finding a townhouse below the $300,000 in Bristow and Gainesville has become quite a competitive arena. Whenever something move-in ready pops on the market, priced right, it is gobbled up by buyers. I’m sure this one will be no exception. 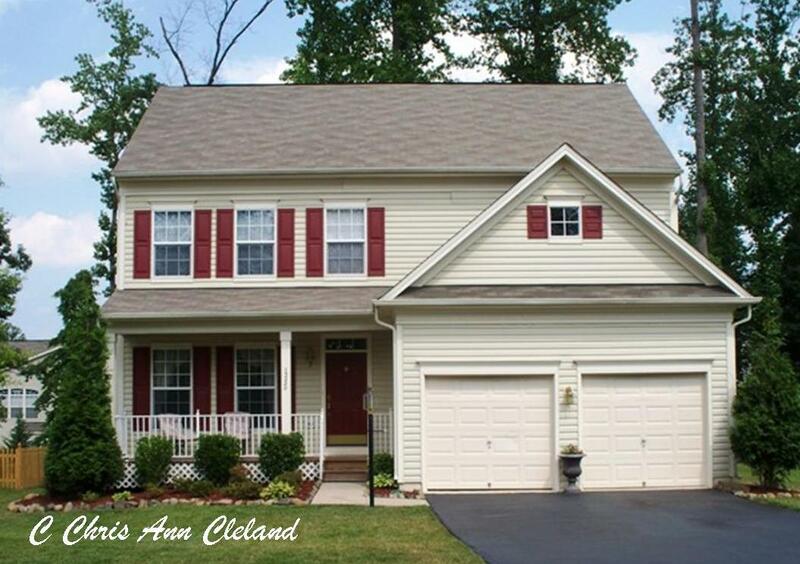 Priced at $269,000, this one car garage townhouse in Braemar has much to offer. For starters, it has a light and bright open floor plan. 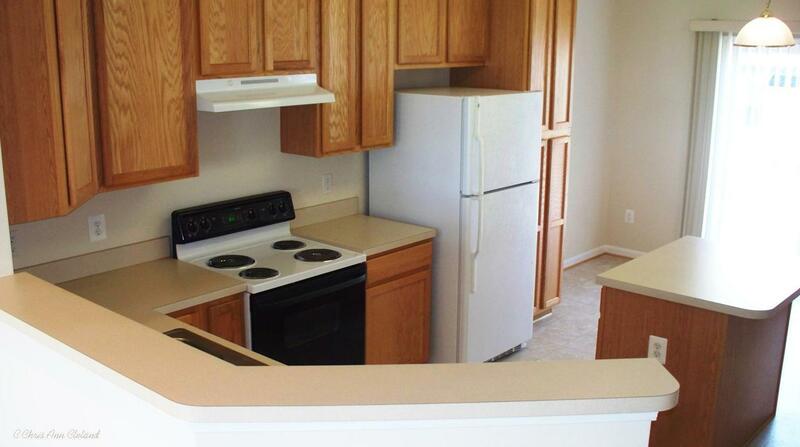 The kitchen is open to a spacious living/dining combo with a grand Palladian window. This area has a foyer overlook. On another side, the kitchen is open to a family room. The kitchen itself boasts a breakfast nook, island and plenty of cabinet space. 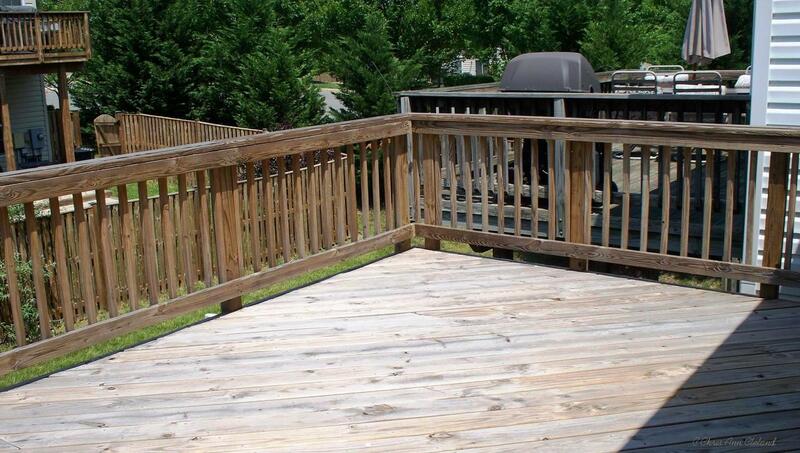 There is even a large deck off you can access by a sliding glass door off the breakfast nook. Upstairs is a Master Suite behind French doors. 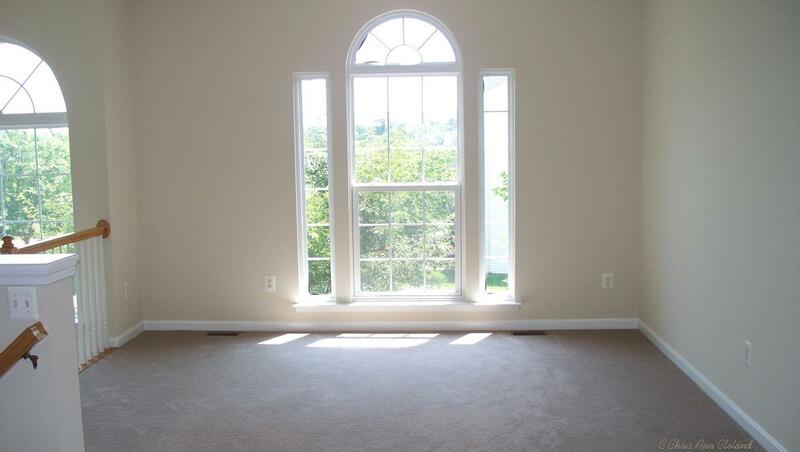 With a large room, two closets and attached Master Bathroom, you will have everything you need in this space. Master Bathroom has its own linen closet and dual vanity for your every day convenience. 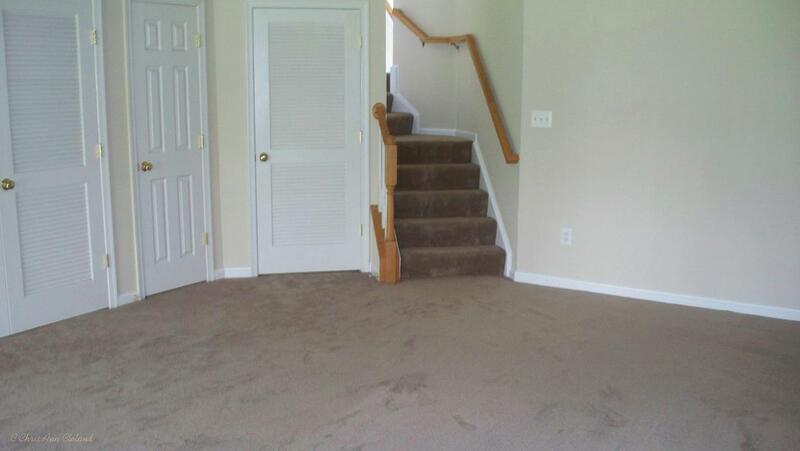 Remaining two bedrooms share the second full bathroom. A finished basement with walk out exit can give a buyer great ideas. Game room. Home theater. Exercise area. Do with this generously sized space what you will. There is also a full size washer and dryer in the basement laundry area. One job a buyer may choose to complete is a basement powder room. There is a space with a door, plumbed and ready for it. The second best thing about this Braemar townhouse is the location. Off of Shortbread Way, it is close to plenty of visitor parking. And for those that enjoy the community amenities like pool, tennis, playgrounds and walking trails, they are all located about 175 yards from the front door of this townhouse. Clareybrook Park is a short block away. This one won’t last long, so be sure to schedule a showing ASAP if you may be interested. I think it’s safe to say that the mild winter of 2011-2012 is behind us. Spring has sprung in Braemar. Flowers are blooming much earlier this year as a result of unseasonably warm temperatures we saw in the first two months of the year. Not only were January and February good to us weather wise, the sales activity for Braemar townhouss was quite favorable. So are you ready for some good news? I hope so. As usual, the stats for Braemar townhouse sales are divided into two categories: Garage and No Garage. To start, Townhouses with No Garage saw five resales in the first two months of the year. The high sold price was $265,000 and the low sold price was $212,000. The average of all five sales gives us our new average market value for No Garage Townhouses of $239,000. That’s a 2% increase since last report. And since there were no resales of No Garage Townhouses in January and February 2011, we have no year to year comparison. If you placed your No Garage Townhouse on the market, priced to current market conditions, you could expect it to be under contract in an average of under three weeks. You could also expect a buyer to ask for an average of 1.5% of the sales price in closing cost assistance. Garage Townhouses in Braemar saw only one resale in the first two months of the year. 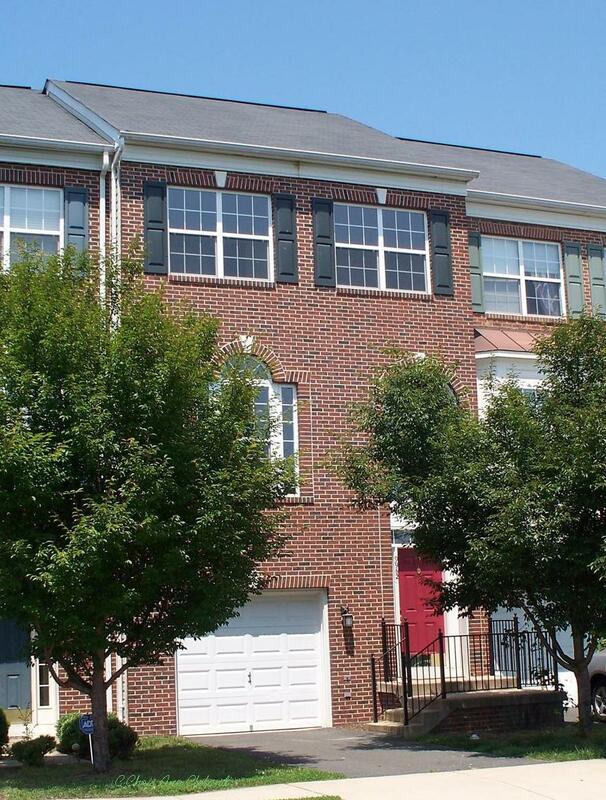 It’s sold price becomes our new average market value of Garage Townhouses: $262,000. That represents over a 3% increase since last report and a 4.5% increase since the first two months of 2011. If you placed your Garage Townhouse on the market, priced to current market conditions, you could expect it to be under contract in an average of over one week. You may also land a buyer, in this competitive marketplace, that doesn’t require closing cost assistance. The next Braemar Townhouse Report will be out in May and will detail sales from March and April. Until then, if you are thinking of selling your Braemar townhouse, I’d be happy to give you an estimate of your home’s specific value in the market. No matter your equity position I can help. I’ve been a full-time Bristow real estate agent and Braemar resident since 2005; and a Short Sale Agent since 2007. No one knows Braemar better! As I type this I know there is plenty of splashing and giggling going on at the Braemar pools that opened for the 2012 summer season today. The kids get so excited about the pool, and I know their parents do too. It’s wonderful to live in a community like Braemar that offers two community pools to their residents. There are also plenty of home styles to choose from for buyers looking to purchase in Braemar. This Braemar Property Value Report will focus on the Heritage Series sales that took place in March and April. If you don’t already know, Heritage Series homes in Braemar are mid-sized single family homes with attached two car garages and include the following floor plans: Exeter, Yardley, Zachery and Waverly. During March and April, there were three Heritage Series homes that sold. Two Yardleys and one Exeter. 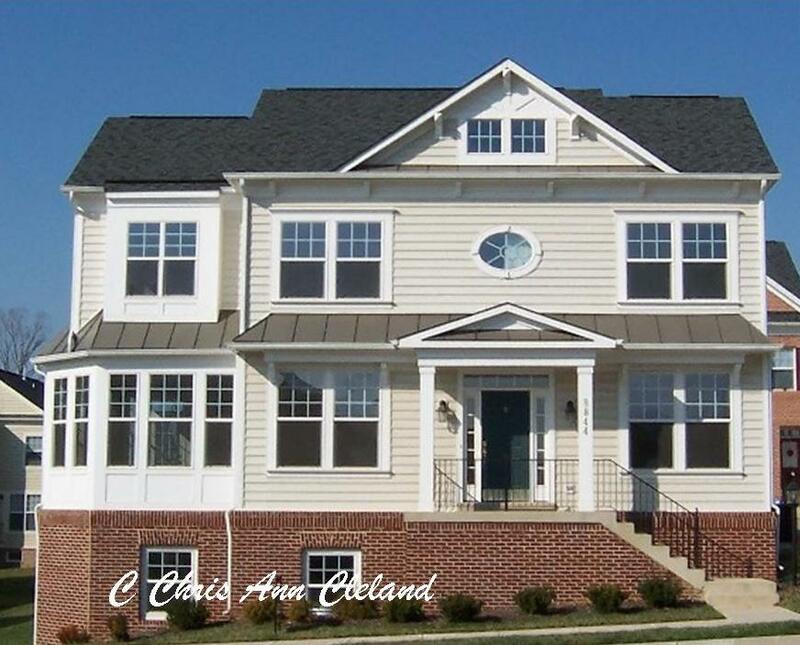 One of the Yardleys was a three bedroom model and the Exeter that sold was also a three bedroom model. 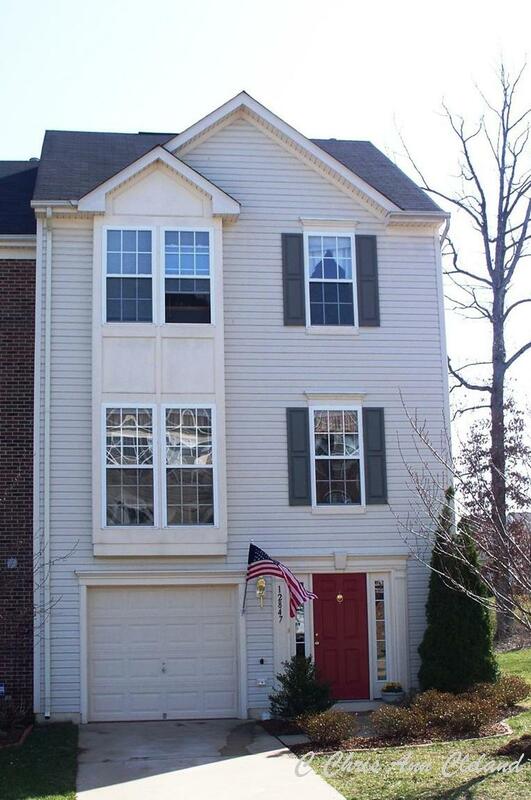 The high sold price was from a four bedroom, three finished level Yardley that sold for $374,000. The low sold price was the Exeter, with an unfinished basement, that sold for $330,000. This brings our average property value for Heritage Series homes to $354,667. That’s a 9% drop in value since last report, but over an 8% increase in value since last year. While this report indicates a rather large drop for Heritage home owners, it’s not as bad as you may think. Size, condition and location in the community still matter when pricing a home in the Heritage Series. It is legit that these homes have hit their maximum price and started to fall off as we enter late spring. What I like to refer to as “Crate & Barrel Yardleys” where nothing is out-of-place and everything is upgraded, down to the switch plate covers, seemed to top out in the $450,000 to $460,000 range. Why? The larger homes (Arista Series) are in that price range and don’t seem to be seeing the wild appreciate the Heritage Series saw. That means only one thing. The Arista needed to climb in value, or the Heritage values were going to fall. We are witnessing the back to reality deflation of the Heritage Series. Over all these homes have seen stable prices for a year and that’s incredible. If you placed your Heritage Series home on the market and priced it to current market conditions, you could expect it to be under contract in an average time span of just about a month. You could also expect a buyer to ask for about 1.5% of the sales price in closing cost help. The next Braemar Property Value Report will be out in July and will detail sales from the months of May and June. We’ll be keeping a close eye on the Heritage values. Of course, if you want to know your specific home’s value in today’s marketplace, call me for your free market analysis. I’ve been a full-time real estate agent and Braemar home owner since 2005. In 2007, I also become a Short Sale Agent. No matter what your equity position, I can get you the most money in the shortest amount of time when you sell your Braemar home. No one knows Braemar better! The grand opening of the Braemar pools is less than twenty-four hours away as I write this post. Bathing suit season is here, whether you are ready for it or not. The spring real estate market is chugging right along, whether you are ready for that or not too. Buyer demand in Braemar has been unreal and we’ll see what it’s done to Braemar Courtyard home values in this Braemar Property Value Report that reflects back on resales of Courtyard homes from March and April. Courtyard homes in Braemar are characterized by their near zero lot lines and having five homes clustered around a private courtyard driveway. The floor plans include the Arlington, Ballston and Clarendon. With such a small number of Courtyard homes in Braemar, it’s not unusual to have reporting periods where we see no sales activity at all, or if we do see something sell, have it be one home. This time around, we have three resales to report. 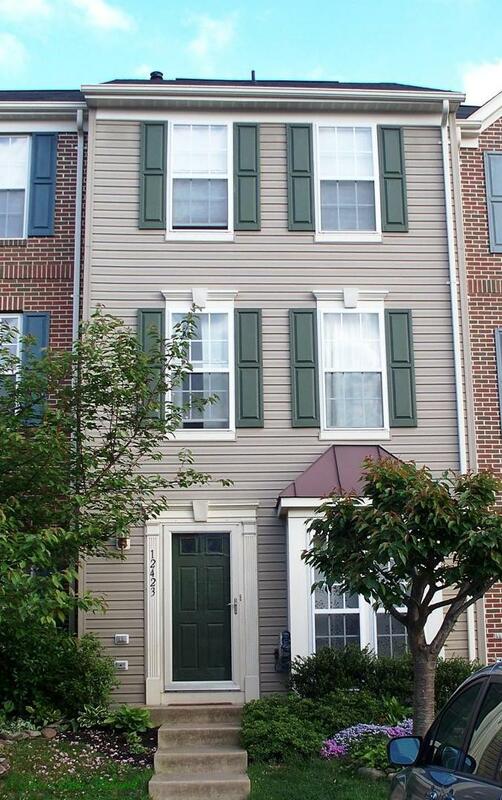 Two Arlingtons and a Ballston sold, all in the month of March. The high sold price was $349,900 and the low sold price was $320,000. The average of the three sales gives us our new average market value for Braemar Courtyard homes of $334,967. That’s over a 4% increase in average market value since last report and nearly a 10% increase in average market value since last year. If you placed your Braemar Courtyard home on the market and priced it to current market conditions, you could expect it to be under contract, on average, in about three months months. The Courtyard homes are a unique proposition and appeal to a very specific buyer. You could also expect to help a buyer with an over of about 1.5% of the sales price in closing cost help. The next Braemar Property Value Report will be out in July and will focus on resale activity from the months of May and June. Until then, know that the Braemar housing market is definitely seeing record demand, so if you’ve been thinking of selling, now is a great time. In fact, I’d be happy to provide a free market analysis of your specific home’s worth in today’s marketplace. I’ve been a full-time real estate agent and Braemar home owner since 2005. I’ve also been a Short Sale Agent since 2007. No matter what your equity position, I can get your Braemar home sold for the maximum dollar amount, in the shortest amount of time. No one knows Braemar better! It’s hard to believe that the Braemar pools will be opening May 26th for the 2012 season. Seems that as soon as the warm temps started in February, we entered a time warp. Those unseasonably warm temperatures were certainly odd. The Braemar Carriage homes have had a rather odd occurrence as well. I’ve been reporting Braemar Property Values since May-June 2005. Every two months I pull the recent sales of homes in Braemar, dividing them in categories. The Carriage homes have always seen at least one sale every two months those numbers are pulled. This reporting period (March-April 2012) however, we have not had one single Braemar Carriage home sale. I can assure you that the reason for the lack of sales is NOT buyer demand. Buyers are still snatching up Braemar homes about as quickly as they come on the market. I think this was just a matter of timing. Nothing to be concerned about. So for this Braemar Property Value Report, I have nothing to report about Carriage home values. I know that will not be the case next time around. For now, Braemar Carriage home owners can look to last report (January-February 2012) for an idea of market values. The next Braemar Property Value Report will be out in July and will detail sales from May and June. Until then, if you want a free market analysis of your specific home’s worth in today’s market, give me a call. I’ve been a full-time real estate agent and Braemar home owner since 2005. I have been a Short Sale Agent since 2007. No matter what your equity position, I can get your Braemar home sold for the maximum amount in the shortest amount of time. No one knows Braemar better! Spring arrived well before winter was officially over in Braemar. We’ve been enjoying warm temperatures since February. And our Braemar real estate market has heated up, though there were no resales of Braemar single family homes in the Arista Series for this reporting period of March-April 2012. For now, Braemar home owners of the large single family homes built by Brookfield which include the Allister, Buckingham and Canterbury models, will have to rely on last report’s (January-February 2012) values to help them price their homes. For a more specific idea of what your large Braemar single family home would be worth, I am happy to put together a free market analyis of your particular home’s value. I’ve been a Braemar home owner, and full-time real estate agent since 2005. I became a Short Sale Agent in 2007. No matter what your equity position, I can help get your Braemar home sold for the most amount of money in the shortest amount of time. No one knows Braemar better! We’re nearly midway through May. Seems it was just the beginning of 2012. That’s what happens when you are busy helping people buy and sell in Braemar. Our real estate market is on fire! Since we’ve got two more months behind us, let’s take a look back at the months of March and April and see how our Braemar townhouse market fared. We’ll make comparisons to last report (January-February 2012) and last year (March-April 2012.) And, as usual, we’ll divide townhouses into Garage and No Garage categories. To begin, Townhouses with No Garage saw two resales in March and April. The high sold price was $254,000 and the low sold price was $210,000. The average of the two was $232,000, which is our new average market value for Townhouses with No Garage. That’s a 2.9% decrease since last report, but a 1.7% increase since last report. This is stability, and it is always welcome in the Braemar real estate market. If you placed your Braemar Townhouse with No Garage on the market, priced to current market conditions, you could expect it to go under contract in just about two weeks. You could also expect a buyer to ask for an average of just over 2% of the sales price in closing cost help. 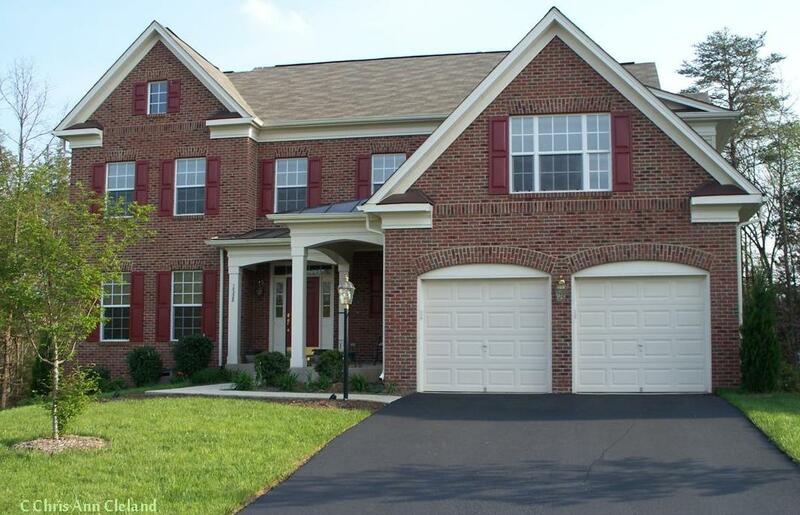 Garage Townhouses saw five resales in March and April. The high sold price was $285,000 and the low sold price was $254,000. The average of all five sales gives us our new average market value for Garage Townhouses of $266,400. That’s a 1.7% increase since last report and nearly an 18% increase since last year! That’s incredible. If you placed your Braemar Garage Townhouse on the market, priced to current market conditions, you could expect it to go under contract in just over a week. You could also expect a buyer to ask for an average of just over 1% of the sales price in closing cost help. The next Braemar Townhouse Report will be in July and will detail sales from the months of May and June. Judging from the sales activity, there will be many more to report. Until then, if you are looking to buy or sell a Braemar townhouse, give me a call. I’ve been a full-time real estate agent and Braemar home owner since 2005. I’ve also been a Short Sale Agent since 2007. No matter what your equity position, I have the knowledge to get your Braemar townhouse sold in the shortest period of time and for the maximum dollar value. No one knows Braemar better!